His nearly 40-year relationship with NBC Sports, first as its boyish announcer and later as elder statesman, came crashing down over five days in November 2017. At a symposium that month with fellow journalists, Mr. Costas remarked on what he saw as the life-altering dangers of the sport, devastating consequences for its players and existential questions confronting the National Football League. His highly critical remarks, while in line with his past public comments about the link between playing football and head trauma, including an hourlong NBC special about it in 2013, quickly grabbed headlines and cast an uncomfortable spotlight on NBC Sports just months before it would broadcast the N.F.L.’s biggest and most lucrative event, the Super Bowl. 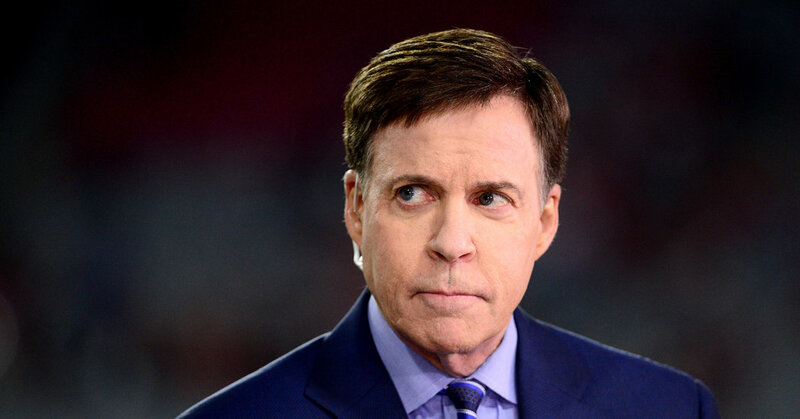 At the end of that week in November, Mr. Costas appeared on a CNN program in what he later described as an effort to soften the reaction to his remarks. He said that network executives had been well aware of his thoughts about football and that “NBC Sports deserves credit” for supporting him as he expressed his views. Within an hour of his appearance on CNN, he said, he received a text message from Sam Flood, an executive producer at NBC. “I think the words were, ‘You’ve crossed the line,’” Mr. Costas told ESPN, adding that he no longer had the text message. Mr. Costas told ESPN that he believed his remarks had cut too close to the delicate, multibillion-dollar business relationship between the N.F.L. and the networks that carry the games.